Guest Blogs have become my new favorite Community Plate feature! 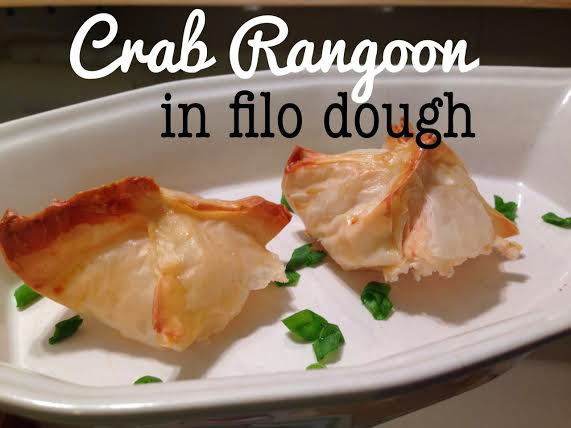 I love that I can incorporate other thoughts, writing, and recipes into my blog for my readers. Especially when I've been too busy to cook, my wonderful guest bloggers allow me to post without having to do much work! So thank you all for that. ;-) Below you will find a recipe by a girl whom I've had the pleasure of living next door to since 2002 (until she got all old and married, and I moved to Baltimore). Her sister, Megan, wrote my very first guest blog, Aloha Chicken and Rice. Life got a little more enjoyable the day Courtney and I found out we were going to be neighbors. My family and I were shackin' up (that phrase can be used without being sexual, right? Let's hope.) at my grandparents house in Gibbstown until our house next to Courtney was finished being built. Most days after school, Court would come over there with me and we would hang out all night, having dinner together on a regular basis. She grew to love my Pop-Pop's cauliflower, and to this day, she still gets a container whenever my mom tries to copy the recipe. Living 90-some miles away hasn't really been an issue - Courtney and I still act like the best of friends, even when we haven't seen each other in months. She likes to visit my house when she stops by to see her parents, and we still call each other to gossip about the latest thing we saw on Facebook. 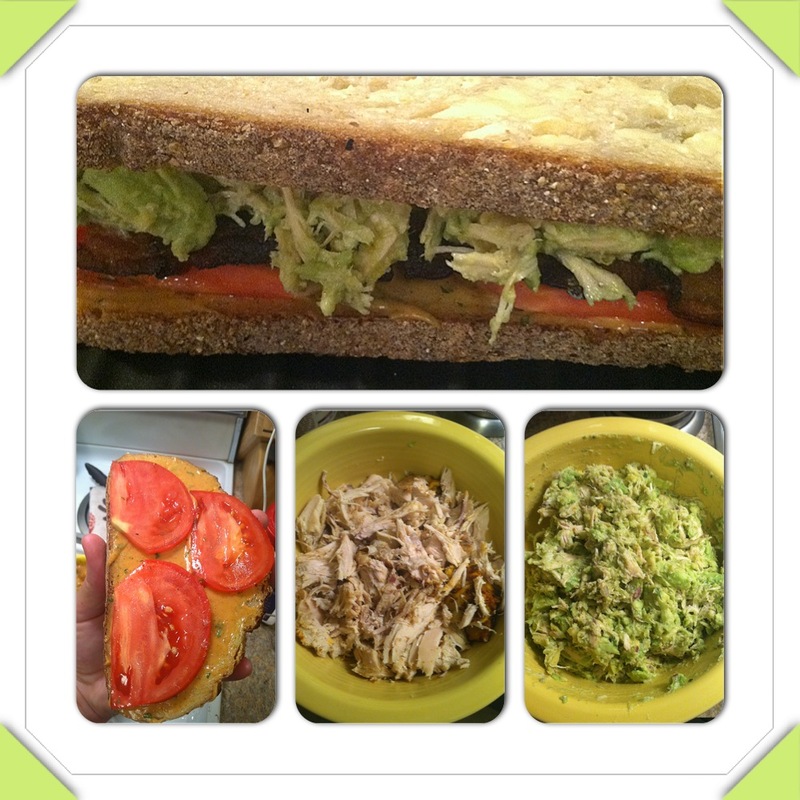 Without further ado, here's Courtney's recipe for Avocado Chicken Salad with Chipotle Remoulade. Sounds delish! This panini has everything you could dream. Starting with the crisp sour dough bread, it explodes with warm avocado chicken salad that includes a compliment of tomato, smoked bacon and a chipotle remoulade sauce. 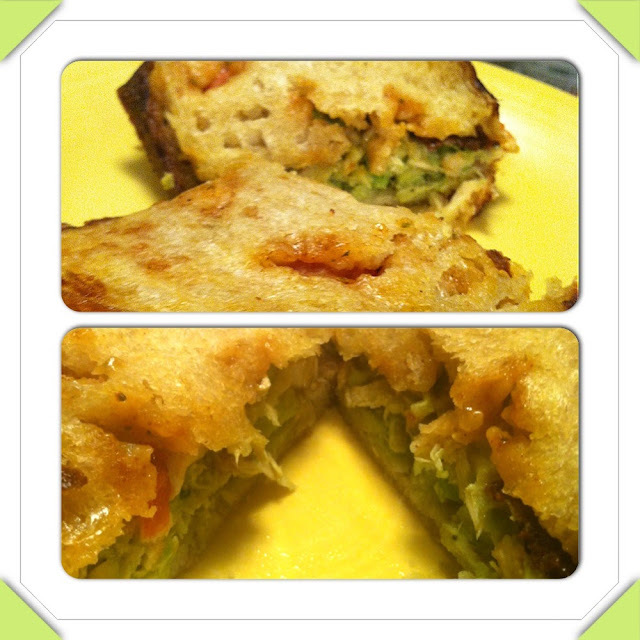 I don't consider myself a very inventive person, so trying to recreate this favorite sandwich seemed like an easy task. In fact, a lot of the sandwiches at House seem like they can be copied at home because of the basic fresh ingredients typically available. 1. 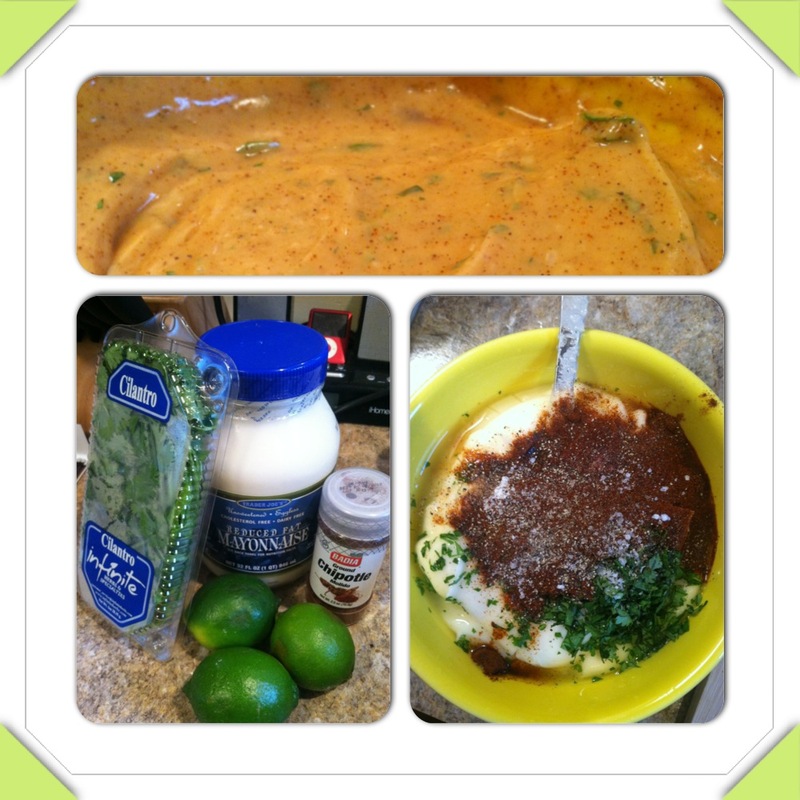 Start by making the Chipotle Remoulade sauce. I'm not a huge spice fan but it's mild enough for me and completely essential to the flavors in the sandwich. This is going to make PLENTY of sauce. You can either cut the recipe slightly or it can be saved for sandwiches for the rest of the week, or you can use it as a dip for veggie,s too. Mix all of your remoulade ingredients together in a food processor or simply in a bowl with a whisk or a spoon. When finished making the sauce, put it in the fridge to chill while you get the rest of the sandwich ready! 2. Cook off your bacon in a skillet and cool two pieces of bacon per sandwich. If you're a bacon person, go ahead and load that bad boy up. No judgment here. 3. Onto the avocado! 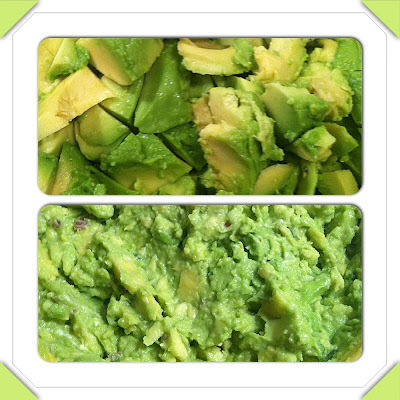 Thanks to Pintrest, I learned a few months ago how to check if an Avocado is ready to be used. Push the small brown stem off the top of the avocado. 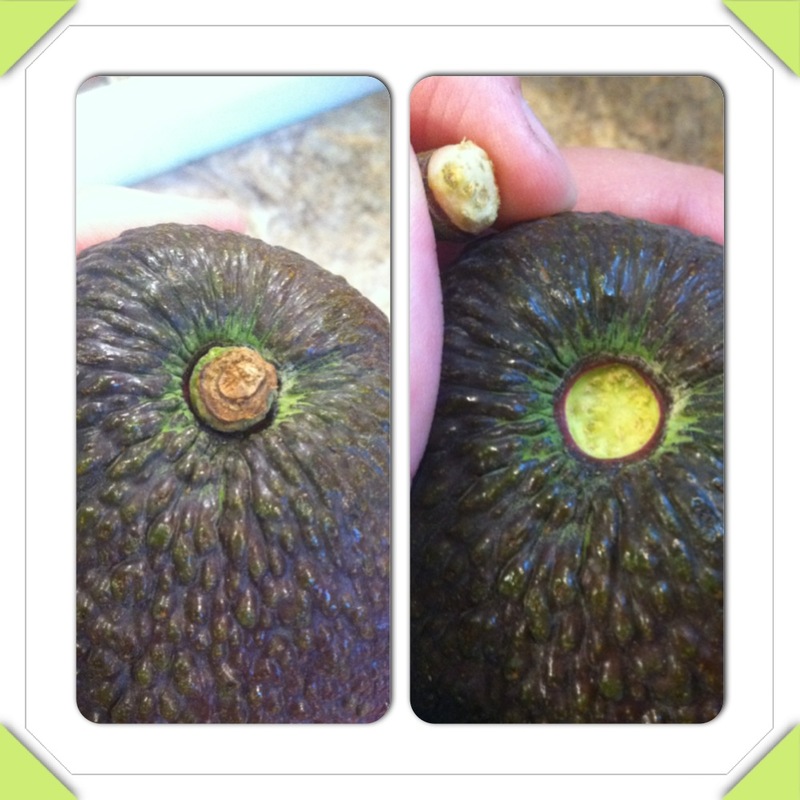 If it comes off easily and you can see green underneath it, the avocado is ripe! If the stem doesn't come off or if you see brown, the avocado is not ripe. I think I could have waited maybe another day for a softer consistency, but I enjoy some chunks not broken up and not mashed. Mash your avocado, and mixed it together with the pulled chicken. I heated the chicken up slightly in the microwave, as I didn't want it going into the sandwich cold and I wanted it to make the avocado a little creamy from the heat. Add your onions, lime juice, cilantro, salt, and pepper to the chicken mix. Incorporate well! 4. Next, slightly butter your bread so it won't stick in the grill (or stove top) and give it a little crunch. Spread your chipotle remoulade sauce on the bread and place thin slices of tomato (which I had my husband Chad slice for me, since he was just standing and staring at the sandwiches asking when they were going to be ready) on the bread. 5. Add the slices of bacon, chicken salad and place the second piece of bread on top. I grilled it inside of my George Foreman. Wait about eight minutes for the bread to get a nice golden brown crisp to it, while the avocado chicken warms and spills out a little bit. Sit, eat, enjoy, repeat as necessary.